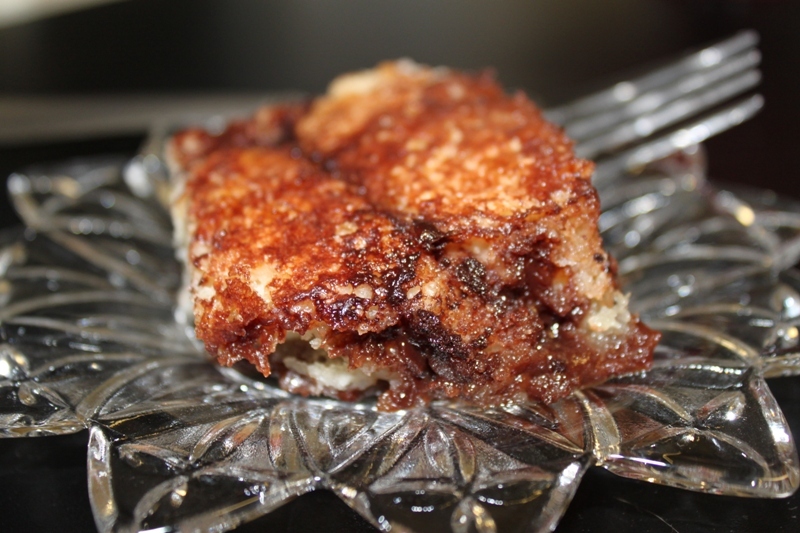 Chocolate Cobbler | Rosetta Bakes! I know, it looks like scrambled up brains, but it’s actually warm gooey cake with yummy chocolate goodness scattered all throughout. This is such an easy cake to make, it you make it with most things you have around the house. I have to admit, I didn’t have self-rising flour, I don’t use it often, so I did go to the store to get some before making this cake. When I make something for the first time, I like to make it exactly as the recipe states. If the recipe does not work for me, I’ll not make it again, or I’ll change things up a bit to make it mine. You will definitely get your chocolate fix with this one! Preheat oven to 350 F. In a 9×13 inch baking dish, melt butter in the oven. In a bowl, mix together the 1 and 1/4 cups sugar, flour, vanilla and milk. Once the butter is melted, spoon on top of the butter, being careful to not mix. Do Not Stir. In a separate bowl, mix together the cocoa and 3/4 cup sugar (for chocolate layer). Sprinkle on top of better. Do Not Stir. Pour 1 and 1/2 cups boiling water on top of mixture, being careful to not stir or mix together. Bake in for 35 to 40 minutes. Bake until it has a golden brown crust. Serve warm. Great with ice-cream.